With over one hundred stores, Las Americas Premium Outlets is the area's largest outlet center, located just a short drive south of downtown San Diego and Tijuana. Stroll through beautiful outdoor courtyard settings and shop at designer and name brand stores: Banana Republic Factory Store, J.Crew, Lacoste, Michael Kors and Tommy Hilfiger with savings of 25% to 65% every day. 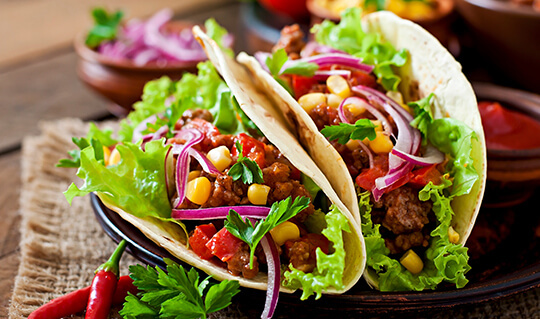 Dine at Achiote Mexican Restaurant and enjoy the authentic flavors of Mexico, or sit down and enjoy the variety of restaurant options at the Food Court. Area attractions include beautiful beaches, SeaWorld, Aquatica by SeaWorld, The world-famous San Diego Zoo, Balboa Park, Old Town and Seaport Village. At the crossroads of two countries, two major cities and the busiest international border crossing in the world, this shopping destination has transformed the region into a place to stop and visit. Whether you're taking a day trip to shop with the family or want to spend the weekend exploring the shopping center and surrounding attractions, you'll love stopping by Las Americas Premium Outlets for a pleasant getaway. Enjoy an assortment of delectable dining options at one of the available restaurants or grab and go stations while shopping for an experience that is truly unlike any other. Either way, you'll love the shopping, dining and attractions readily available in the area. If you're planning on taking a day trip to the shopping destination or even staying for a few days, there are plenty of area attractions that are perfect for the entire family. Take a visit to SeaWorld's San Diego, California theme park with the family and experience rides, shows and attractions that are perfect for all ages. Or, stop by Balboa Park, an urban cultural park in San Diego that includes open space, natural vegetation zones, walking paths, gardens and more. Other local favorites near to the shopping center include the San Diego Zoo, Aquatica by SeaWorld and the Sleep Train Amphitheatre.There are so many options in the area for people of all ages! After you've shopped until you drop, it's time to satisfy your appetite! At Las Americas Premium Outlets, there are plenty of options for on-site casual dining. Dine at Achiote Mexican Restaurant and enjoy the authentic flavors of Mexico with the entire family, and even stop by the restaurant for breakfast options before a full day of shopping. This family-style Mexican restaurant is a local favorite and offers authentic dishes off of an extensive menu. Or, stop by the shopping center's food court for a wide variety of options that are perfect for a midday pitstop. No matter what your tastebuds are craving, you're sure to find what you need when you visit this premium shopping center as a vacation destination. When the sun sets, San Diego and the surrounding area lights up. 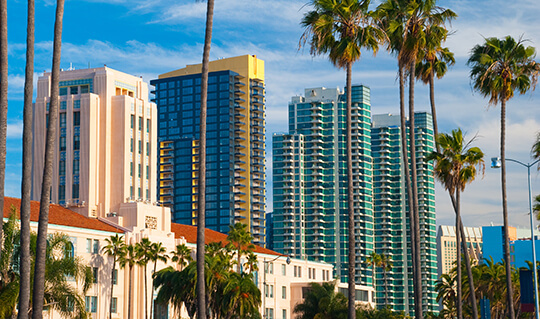 Check out the Gaslamp District for fantastic restaurants and nightlife. 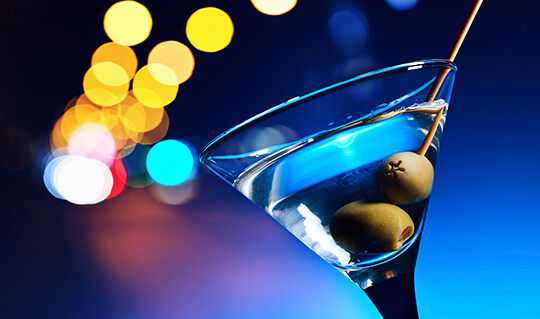 Enjoy a night out on the town after a full day of shopping and head to The Gaslamp Quarter and experience a sophisticated cosmopolitan playground for all ages. From sporting events to comedy shows and even live music, San Diego's Gaslamp Quarter is the place to stay. F6ix, FLUXX, Parq Restaurant & Nightclub and The Tipsy Crow are all great clubs and bars located near the shopping center. Or, head across the border for a night of fun. Tijuana has an eclectic mix of flavor and culture that are perfect for a fun night out on the town. Fabulous accommodations can be found a short distance from the shopping center. There are plenty of options to choose from for family stays, anniversary getaways, or even a girls' weekend away, and staying close to the shopping center has never been easier. The center is close to a host of affordable accommodations for families and business travelers alike. 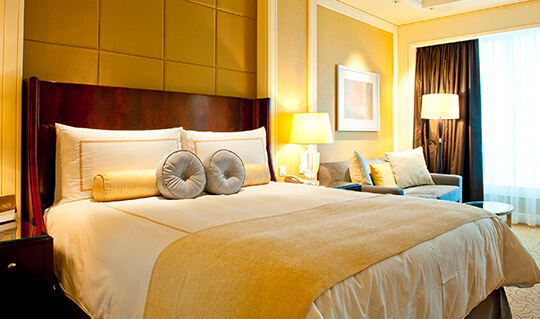 There are also a wide variety of Shop & Stay Packages to choose from for numerous hotels in the area. Just mention your visit to Las Americas Premium Outlets at the following hotels to see what options and special deals they have to offer: Holiday Inn & Suites Otay Mesa, Best Western Americana Inn, Best Western Plus, El Primero Boutique Hotel, Camino Real and Hyatt Place. From I-5 exit right on Dairy Mart Road, go 1/8th mile and turn left onto Camino de la Plaza. The center is one mile on the right. From I-805 exit on Camino de la Plaza, the last exit before the International border crossing into Mexico. Turn right and go 1/8th mile, center is on the left. Cross into U.S. on I-805 north and exit right on San Ysidro Blvd. and turn right on Camino de la Plaza. The center is on the left. Enterprise Rent-A-Car is pleased to provide a discount on all rentals to Las Americas Premium Outlets shoppers. Discount applied in quoted rate. For further information or larger accommodations, contact 1-800-RENT-A-CAR and give the reservation representative the following discount code: 32F3641. *Las Americas Premium Outlets Shoppers receive a free VIP Coupon Book. Must present Zipcar key at the Information Center. Go Rentals are an elite car rental service company, with a special emphasis on service. We exist to provide unrivaled personal service so you can save time. It would be our pleasure to provide a discount on all rentals to Las Americas Premium Outlets shoppers. Discount applied in quoted rate. For further information please contact us directly at (619) 330-5933 and give the reservation representative the following discount code: GOSAN. From the south area take 906/907 Bus to Las Americas Premium Outlets. From the downtown area take 929 Bus and connect with Iris Avenue Trolley Station. Shopping Excursions to Las Americas Premium Outlets from the Tijuana Tourist Terminal located in downtown Tijuana on Avenida Revolucion between 6th & 7th Street. Take the San Diego Blue Line trolley to Las Americas Premium Outlets. Exit at the San Ysidro Transit center located at the international border. Las Americas Premium Outlets is located a short five minute walk across the pedestrian friendly bridge and one block up on the right. Eco Pedicabs transports passengers between the San Ysidro Trolley stop and/or U.S. side of the border and the Las Americas Premium Outlets roundabout. Please call 619-446-6876 for pick up. From Central San Diego to Las Americas Premium Outlets. Discounted private chauffeured transportation for your shopping excursion. Getting you where you need to be. San Diego County's affordable chartered van service for your group.